Packing Slip Form 127B At Print EZ. Packing Slip Form Item No. 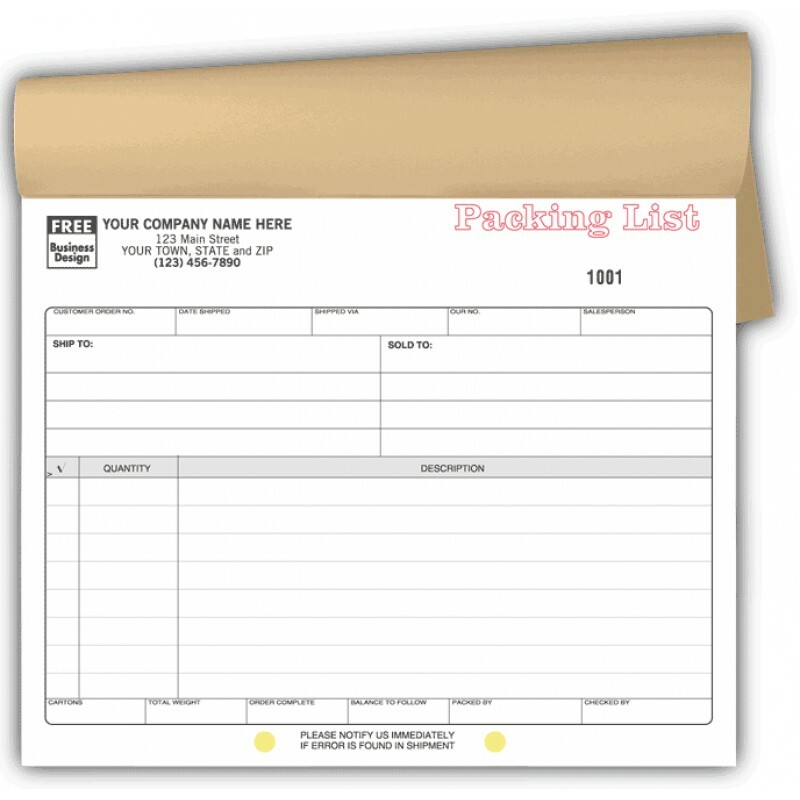 127B Size: 8 1/2" x 7"
Organize your shipments with this packing slip form that has preprinted spaces for whatever information that you may want to convey to the packing department as well as the customer. Complete the form and you are sure that you haven’t left anything out. The form provides separate spaces for consignee’s name and address should it be different from that of your customer who placed the order. 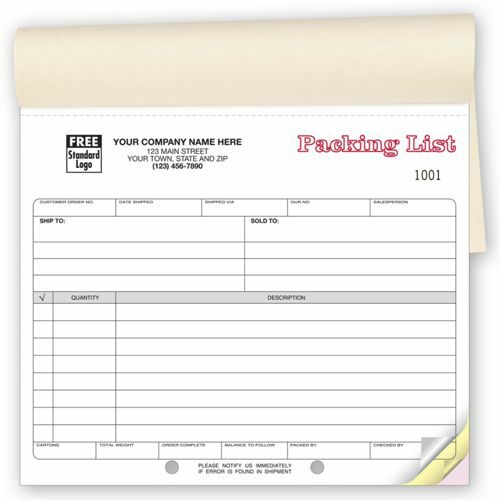 These packing forms come in book form and printed on superior quality carbonless stock that provides clear information. The bottom copy remains bound in the book for the accounts department to record the shipment and bill the customer. The minimum quantity you can order is 250 forms in books of 50 forms each.